How To Answer The “Tell us about your greatest achievement” Question. While at an interview, there are questions you are almost certain you’ll be questioned. While you don’t want your response to seem rehearsed, you also do not want to walk in unprepared. How exactly should you answer this behavioral question? To start off, you should have a two response approach; the how and the why. The How – How is your greatest achievement relevant to the company you’re applying to? One of the ways to show the relevance is by showing the skills you used. Ensure the skills you display are tied to the job you’re applying for. The Why – Explain why you’re proud of this accomplishment and what values you learned from the experience. You can also proceed to relate your achievement to growth exhibited in the company. For example, if your accomplishments related to empowering others in the company, growing revenue or solving difficult problems, you should find a way to talk about that. Try and recount the actions related to the job you will be doing. This way, the recruiter will be able to join the dots between your greatest achievements, and the tasks of the job you’re applying for. Within actions, you can either talk about interaction or problem-solving. Interaction actions show how you had to work with others to get to the accomplishment. The more diverse the departments you worked with, the better. While you’ll be the main character, you need to show you can work with professionals from all departments. Teamwork is a great part of showing your greatest accomplishments. In problem-solving, you should show how innovative you can be. Most companies are going through a change when they decide to hire new personnel, showing your innovative skills will give you an upper hand over other applicants. You can also showcase your problem-solving skills in times of scarcity. In cases of inadequate personnel, time, or resources, you can show how you were able to solve the problem. Some professionals stop at the actions they took towards achieving the accomplishments. However, it is important to show the fruits of your accomplishments. Take this opportunity to show what was achieved, and why you are proud of it. While talking about the results, you can choose one of two angles; breadth of the results, or the significant outcomes. In breadth of results, link how the achievement is tied to the company’s success. Focus on both the short-term and long-term results. In significant outcomes, talk about how each outcome was important to you. For a salesperson, the achievement could be landing a great client. To a human resource officer, the achievement could be streamlining the payroll system. This helps the recruiter see what skills and tasks you give importance to. Ensure you don’t talk about yourself only. Involve others and show you’re a great team player. Pick an accomplishment you’re personally passionate about. The accomplishment you pick should connect with the job you’re applying to. Interview questions can be intimidating. But it does not have to be, with practice, you’ll master the art of being interviewed. 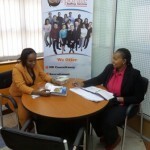 Moreover, you should engage the services of an interview coach to help you champion your next interview. you are real and demanding.